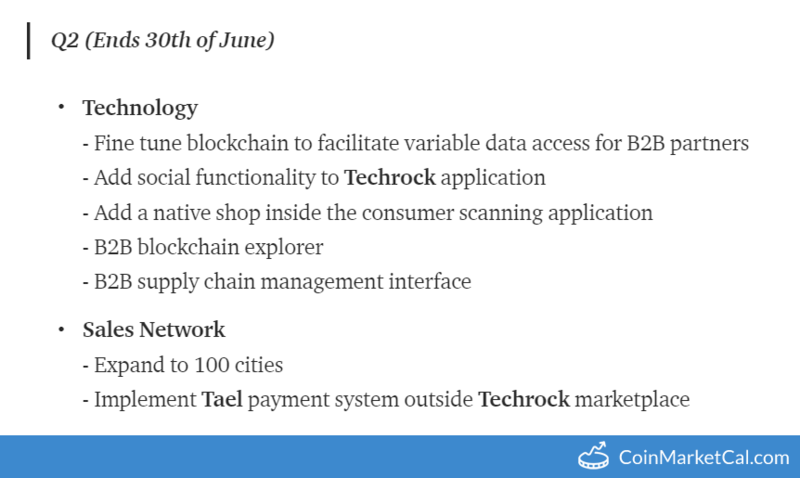 Tael (WABI) - Events, Price, Market Cap, Supply, Exchanges and more! 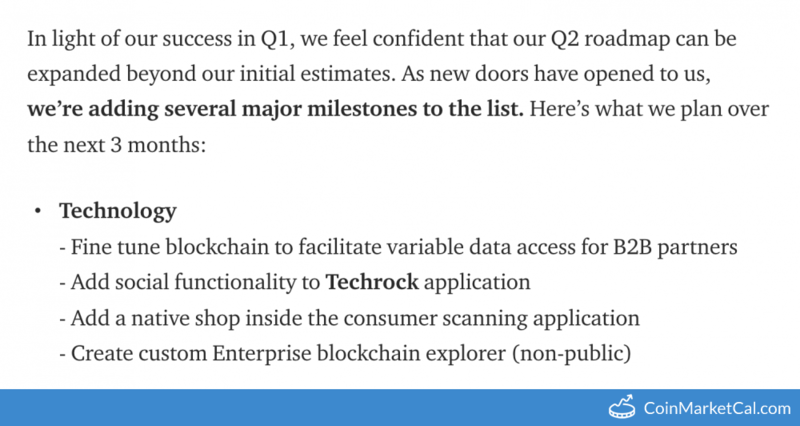 Custom Enterprise blockchain explorer (non-public) in Q2 2019. Expand to 100 cities in Q2 2019. 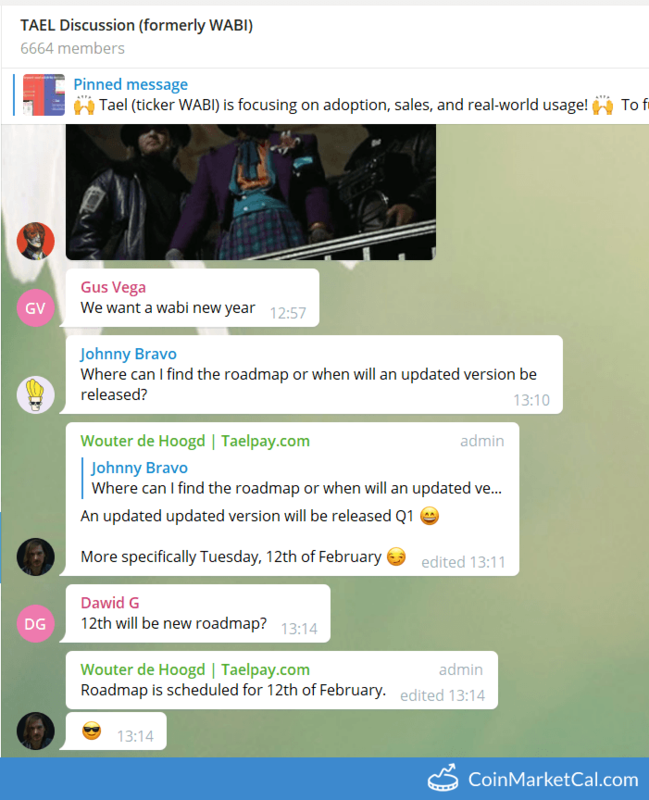 Add social functionality to Techrock application in Q2 2019. Expand to 250 cities in Q2 2019. Add product recommendation features to Techrock store in Q3 2019. 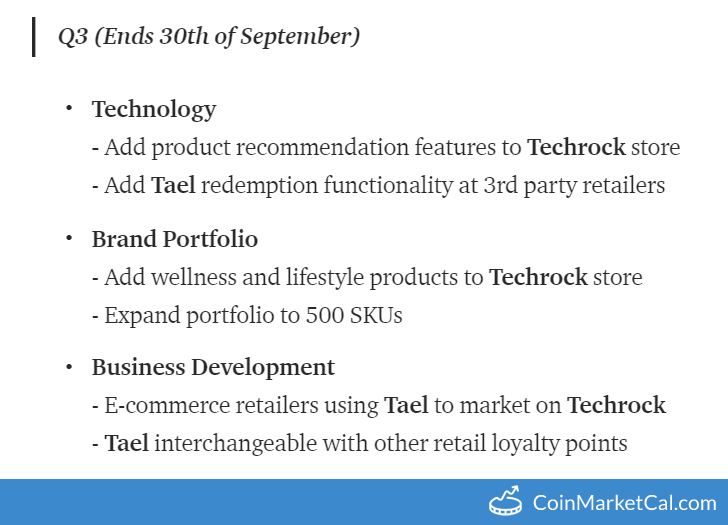 Tael interchangeable with other retail loyalty points in Q3 2019. 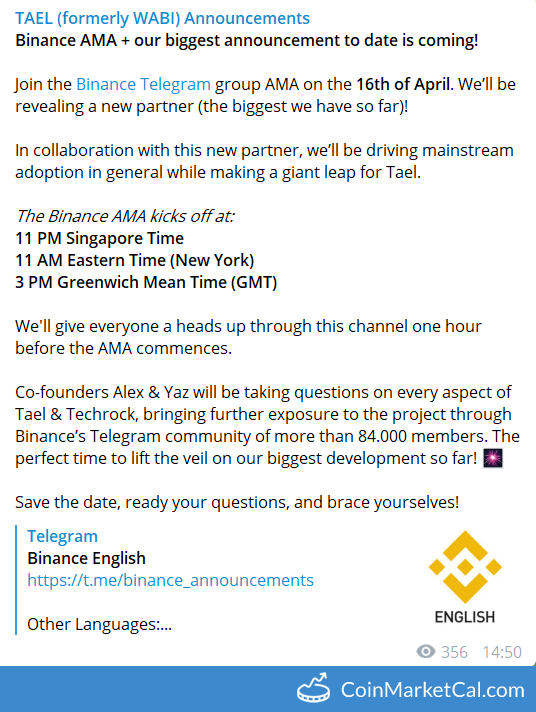 Binance hosts an AMA with Tael (WABI) in the @Binanceexchange Telegram group. Partner with major Japanese product distributor in Q1 2019. Launch of PoS (point of sale) terminals in Beijing during Q1 2019. 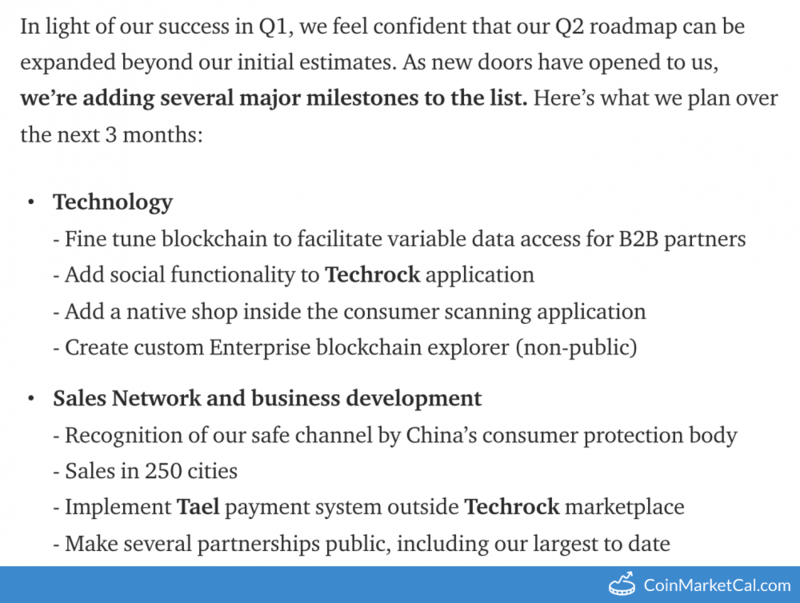 Masternode expansion in Q1 2019. Integrate fiat-to-Tael payment gateway and make it available to corporate clients during Q1 2019. 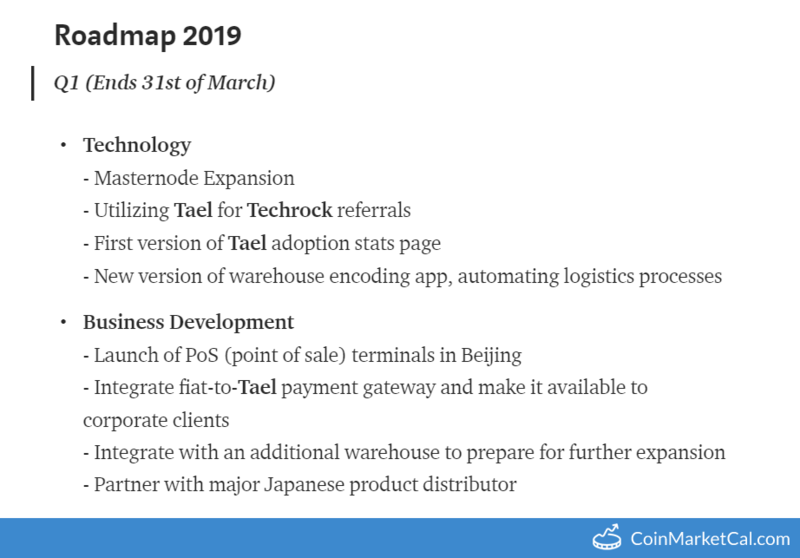 First version of Tael adoption stats page in Q1 2019.